1. On April 5 (local time), Ministry of Defence of the UK issued the press statement titled “Royal Navy vessel identifies evasion of North Korea sanctions”. 2. 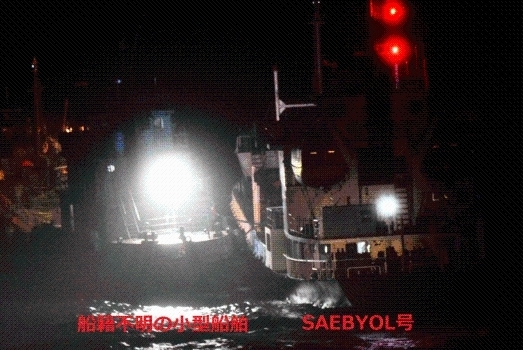 The ship-to-ship transfer by North Korean-flagged tanker SAEBYOL, mentioned in the above press statement, is the case AOE 'OUMI' of Japan Maritime Self-Defense Force found while working with British Royal Navy Frigate MONTROSE. 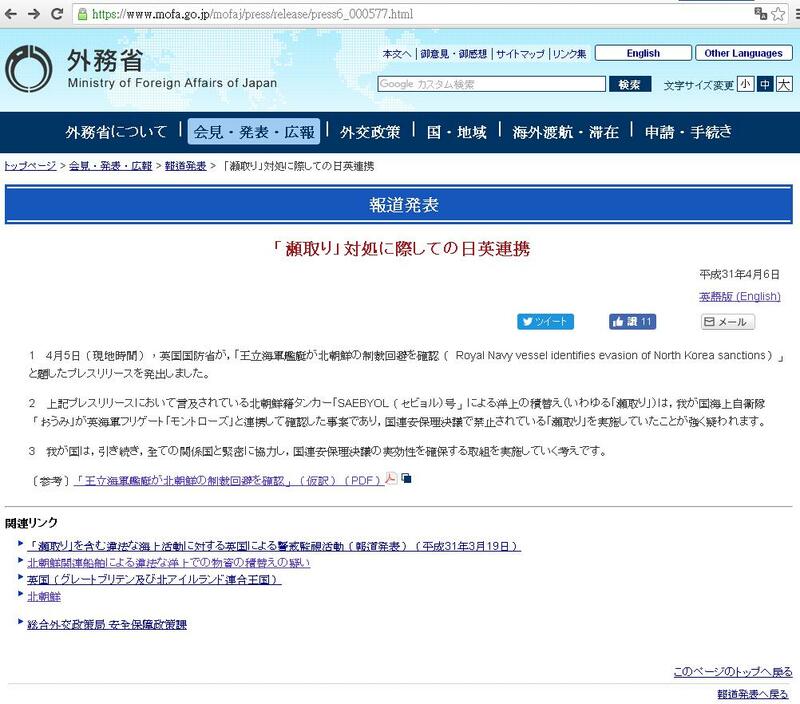 Japan strongly suspects it conducted ship-to-ship transfer banned by United Nations Security Council Resolution (UNSCR). 3. Japan will continue to work closely with all partner countries to ensure effectiveness of the relevant UNSCRs.